Improving the understanding of decadal variability and climate change is of utmost importance for decision makers in various areas such as the management of water and energy, or public health. The goal is to determine if climate change and the events that we observe are the result of natural variability or are irreversible result of anthropogenic climate change. This question underlies the determination of the uncertainties of climate change in the near future and research on decadal climate variability and its prediction. 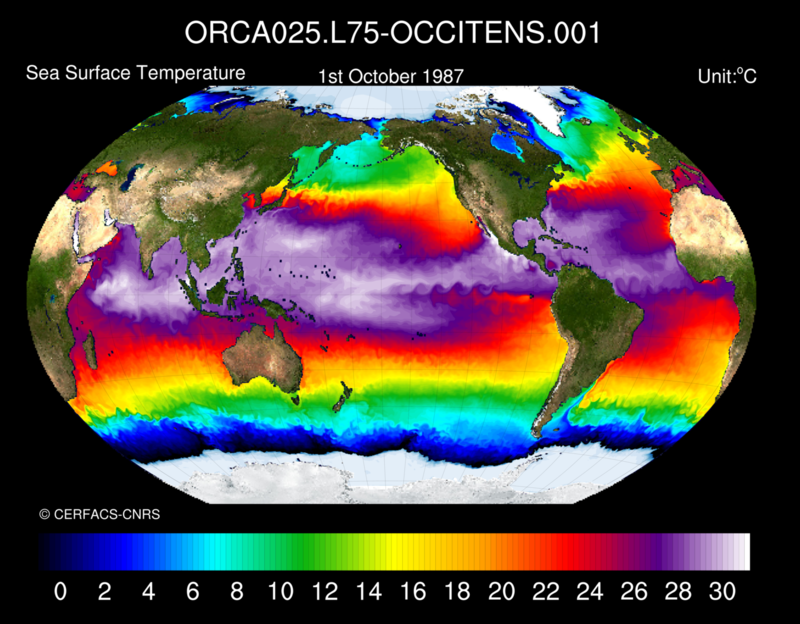 The DECLIPP challenge aims to develop new methods to address the problem of decadal prediction based on the development and use of a coupled ocean-atmosphere model. This approach requires high spatial resolution models and the analysis of ocean observations to initialize the component ocean model. Another long-term goal of DECLIPP is to improve the understanding of the internal variability of the climate and its interaction with the climate system response to external forcings, whether natural or anthropogenic. This challenge is based on several research areas such as the study of models biases in order to remove them, ensemble generation technics or the development of downscaling techniques. It includes research on the impact of future decadal changes such as hydrological projections on France or the evolution of temperature extreme events.